Don't be alarmed if you're asked up on stage - the performers are known for interacting with audiences during the show! Performances change every month so you have every reason to keep coming back! Totally worth it. The venue was very easy to find and the ticket was easily redeemed. Get there an hour before the show to maximize the experience. There are a lot of photo ops and cultural exposure pre-show activities. The show itself has 2 segments. The first half was an acrobatic performance while the second one was the peking opera performance itself. We really did enjoy this event. Experience breathtaking live performances of traditional Chinese theater when you visit TaipeiEYE. One of the most recommended things to do in Taiwan, TaipeiEYE is a window into the culture and tradition of Taiwan and China. Each performance is a theatrical feast for the senses (yes, including taste!) featuring a diverse range of genres from traditional Taiwanese theater, to Chinese folklore, aboriginal dances, to traditional opera and more! On top of that, each performance is subtitled so you don't have to worry about missing out on anything. The performance schedule updates each month so there's always something new and different to experience. 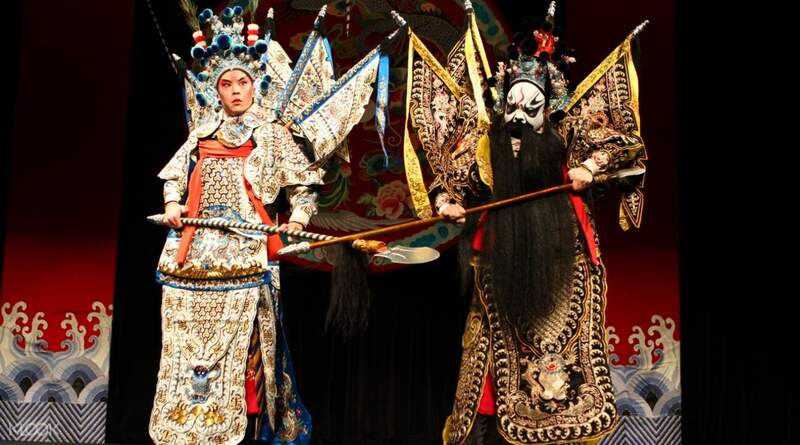 Spend an evening at the Chinese opera—there's no better way to end a night in Taipei. Seating is on a first come, first served basis. Get there early for the best view! Totally worth it. The venue was very easy to find and the ticket was easily redeemed. Get there an hour before the show to maximize the experience. There are a lot of photo ops and cultural exposure pre-show activities. The show itself has 2 segments. The first half was an acrobatic performance while the second one was the peking opera performance itself. We really did enjoy this event. Totally worth it. The venue was very easy to find and the ticket was easily redeemed. Get there an hour before the show to maximize the experience. There are a lot of photo ops and cultural exposure pre-show activities. The show itself has 2 segments. 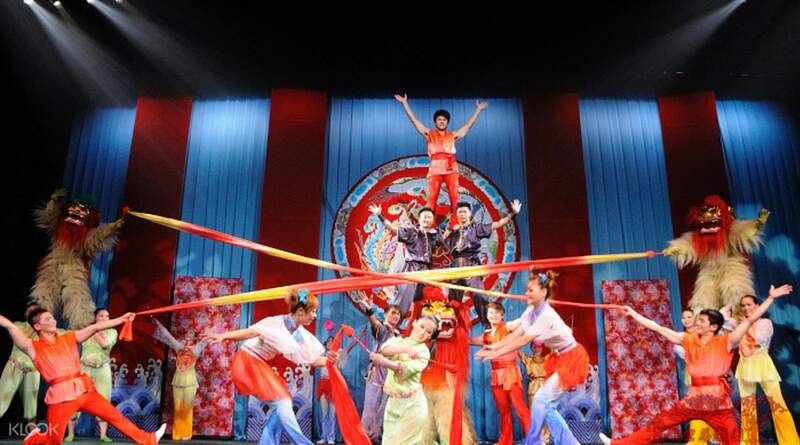 The first half was an acrobatic performance while the second one was the peking opera performance itself. We really did enjoy this event. it was my first time to witness a real Chinese opera. It was a great experience and one of the best parts of my travel. Our story was the journey to the west. performers were really skilled and entertaining. A must try. The show has subtitle, so no worry with the interpretations. 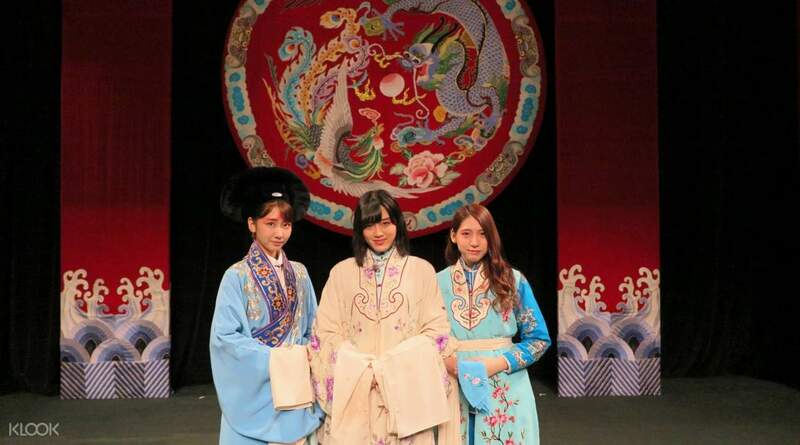 Before the show starts, they had activities such as face painting, and try-on Chinese traditional outfit. Staff there are very friendly too. it was my first time to witness a real Chinese opera. It was a great experience and one of the best parts of my travel. Our story was the journey to the west. performers were really skilled and entertaining. A must try. The show has subtitle, so no worry with the interpretations. 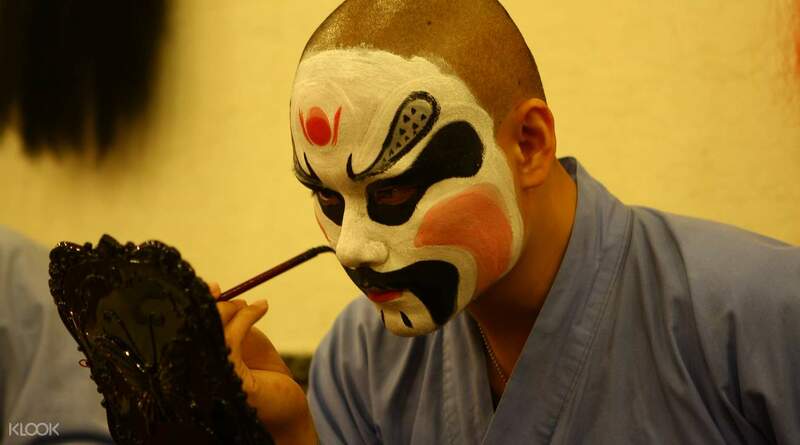 Before the show starts, they had activities such as face painting, and try-on Chinese traditional outfit. Staff there are very friendly too. A nice activity for an evening out. Since I have seen Peking Opera in Beijing, this show is less impressive. However, staff are nice and there're plenty of activities before the show to keep you entertain. A nice activity for an evening out. Since I have seen Peking Opera in Beijing, this show is less impressive. However, staff are nice and there're plenty of activities before the show to keep you entertain. Easy to redeem just present the voucher at the counter I like the pre-event.. free costumes to try, face painting, you got to see how the performers prepare themselves for the opera. You will also be given souvenir. Its a performance with very good choreography and musicians Its also funny and easy to understand(on the left side theres english translation) I also love there colourful outfits, the movement of the performers its a thumbs up(the expressions,fingers,comedy) Such a great show, and i would Definitely recommend to watch for a taste of chinese opera show and its very affordable. Easy to redeem just present the voucher at the counter I like the pre-event.. free costumes to try, face painting, you got to see how the performers prepare themselves for the opera. You will also be given souvenir. Its a performance with very good choreography and musicians Its also funny and easy to understand(on the left side theres english translation) I also love there colourful outfits, the movement of the performers its a thumbs up(the expressions,fingers,comedy) Such a great show, and i would Definitely recommend to watch for a taste of chinese opera show and its very affordable. It was a nice experience and I highly recommend it if you have never watched opera before. The costumes are spectacular and their acts are well done and amusing at times. Come early before the show to try out the costumes and take photos with the performers. Do check out their souvenirs as well...they have the cheapest fridge magnet! It was a nice experience and I highly recommend it if you have never watched opera before. The costumes are spectacular and their acts are well done and amusing at times. Come early before the show to try out the costumes and take photos with the performers. Do check out their souvenirs as well...they have the cheapest fridge magnet! It is a must tried once you come to Taiwan!!!! Definitely highly recommended!!!! It was the the most well done performance that I had seen in my life. It's a combination of performance, musical, entertainment and visual satisfaction factors all combined into 1 phenomenal piece of art. Also, bonus part is you get to try on the Traditional costume and face waiting for the pre-show. Plus the great service. Overall it is the most impressive thing that I have seen in Taiwan so far. It is a must tried once you come to Taiwan!!!! Definitely highly recommended!!!! It was the the most well done performance that I had seen in my life. It's a combination of performance, musical, entertainment and visual satisfaction factors all combined into 1 phenomenal piece of art. Also, bonus part is you get to try on the Traditional costume and face waiting for the pre-show. Plus the great service. Overall it is the most impressive thing that I have seen in Taiwan so far. This is a very nice experience and is a must try! I must admit the first minutes were kinda boring for me since it was a traditional theatrical act. The play has subtitles in english, mandarin, korean, and japanese. The later part of the show is where it really sparked my interest due to amazing acrobatics. While waiting, you can actually have face/hand painting and try outfits and listen to someone playing. This is a very nice experience and is a must try! I must admit the first minutes were kinda boring for me since it was a traditional theatrical act. The play has subtitles in english, mandarin, korean, and japanese. The later part of the show is where it really sparked my interest due to amazing acrobatics. While waiting, you can actually have face/hand painting and try outfits and listen to someone playing. Location of the building is easy to find and relatively near the train station. The experience was so cool! You get the chance to wear chinese costumes and watch the performers prepare prior the show. The entire show was great and entertaining! Picture taking is allowed but video recording isn’t. Highly recommended! Location of the building is easy to find and relatively near the train station. The experience was so cool! You get the chance to wear chinese costumes and watch the performers prepare prior the show. The entire show was great and entertaining! Picture taking is allowed but video recording isn’t. Highly recommended! Very nice venue. The staff were very nice and very helpful. We were able to try on costumes, pose with props, get face paints and buy souvenirs. It was very enjoyable. There were also subtitles in English, Korean, Japanese and Chinese on the side, so we could follow. We got there early so could choose good seats and got to try everything out before the queues built up. And the show itself was beautiful. I will definitely be going again. Very nice venue. The staff were very nice and very helpful. We were able to try on costumes, pose with props, get face paints and buy souvenirs. It was very enjoyable. There were also subtitles in English, Korean, Japanese and Chinese on the side, so we could follow. We got there early so could choose good seats and got to try everything out before the queues built up. And the show itself was beautiful. I will definitely be going again.